Employee benefits can be complicated for employees to understand. An employee is faced with numerous decisions during open enrollment and throughout the year. What is a flexible spending account? Should I include my husband and children on my plan? Is my doctor in-network? How much does it cost to add vision and dental? What are the benefits of a supplemental insurance plan? These questions and many more, can result in stress and confusion if employees can’t find the answers. To respond to the needs of employees, our employee service system to help employers with the administrative services needed to effectively communicate their workplace benefits. Our simple "Read. Click. Call." system meets each employee’s unique communication style. 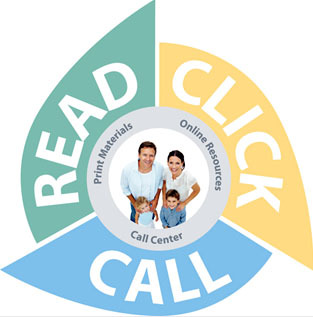 Utilizing this concept, employees have the option to review their benefits in printed materials, access information online, or call a customer service number to have their questions answered. For the first time in U.S. history, we have several different generations in the workforce. A baby boomer executive may want their healthcare questions answered differently than a generation-Y techie. 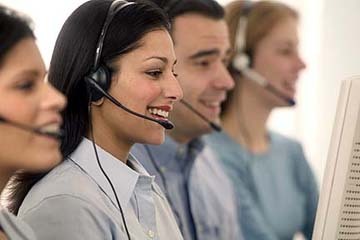 Communicating to the different demographics requires a combination of high-tech and high-touch.